Uniquely, we can design and manufacture your Admirror to fit your brand preferences. Our frames can be made from a range of materials including aluminium, metal or wood to a style that best fits your design and brand preferences, and which can also include your business logo. 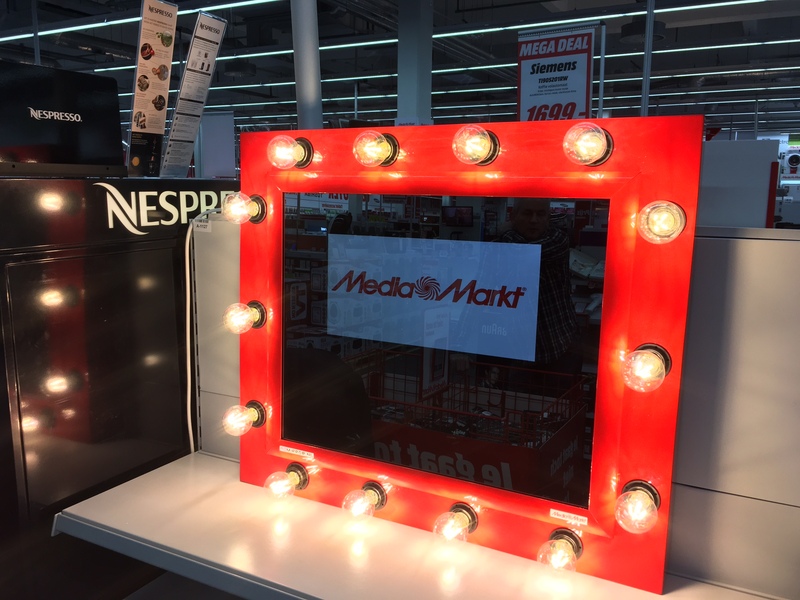 Similarly, we can supply your custom made Admirror in a frame colour of your choice. Customers can choose the size of their Admirror from our selection of portrait and landscape models in sizes from 640mm to 1600mm. Finally, please note the integrated digital screen can be positioned within the unit in accordance with your preferences.